AMES — Iowa State football changed up its defense from a four-man front to a three-man front after the Akron game last season. “I think we’re built to play against any offense,” Heacock said. “A year ago, we were trying to help our team win and now we’ve developed a whole package of four-down, three-down, playing against 22 personnel (two running backs and two tight ends) or playing against 10 (one running back, no tight ends and four receivers). 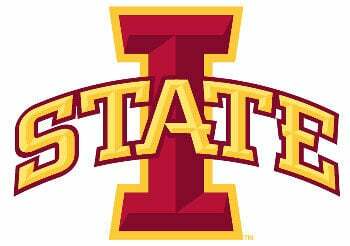 Iowa State squares off against No. 5 Oklahoma and its prolific offense led by quarterback Kyler Murray and Coach Lincoln Riley at Jack Trice Stadium on Saturday at 11 a.m. The Sooners are averaging 56 points per game and are only playing their starters for about two quarters per game. Their first two games were against Florida Atlantic, coached by Lane Kiffin, and UCLA – not exactly cupcake opponents. “Incredible offense – the scheme, the athletes, the mindset, the quarterback – he’s incredible,” Heacock said. “There isn’t a throw he can’t make, he doesn’t sit in the pocket, he’s a hard guy to tackle, he runs the football. You have to be quarterback option-sound, you have to be scramble-sound. Last season, Iowa State held Oklahoma 14 points below the Sooners’ scoring average. The Cyclones’ defense is going to have to do a little better than that this time if they want a chance. “If you come watch us, it’s a physical practice,” Campbell said. “We’re not out there forever, but I think we practice with a sense of physicality. We do that because we know its defensively important for us to do that, especially in the early stages of a football season. Iowa State proved it could limit a Big 10, power run offense. But now Iowa State is faced with the complete opposite – Oklahoma and its spread offense. “We played well against Iowa, but we didn’t play well enough to help us win,” Heacock said. “Like I told our guys, having a great defense means when it’s a critical situation, you can stop the other team so you can win. And we’re just not quite there yet. Series: Oklahoma holds a 74-6-2 advantage. Last meeting: Iowa State went to Norman, Okla., and stunned the No. 3 Sooners 38-31 last season.